Allan Leighton is the former CEO of Asda and former Chairman of the Royal Mail. Allan started his career at Mars Confectionery in 1974 as a Salesman. He worked his way up through the company before leaving in 1991. After a short spell as Sales Director at Pedigree Petfoods, in 1992 he joined Asda Stores Ltd.
Allan Leighton started his career with Asda as Group Marketing Director and was appointed Chief Executive in 1996. As CEO he was credited with turning around what he once described as ‘a basket case’ into a highly successful company that was sold to US retail giant Wal-Mart for £6.7 billion in 1999. In November 1999 Leighton became the President and CEO of Wal-Mart Europe. 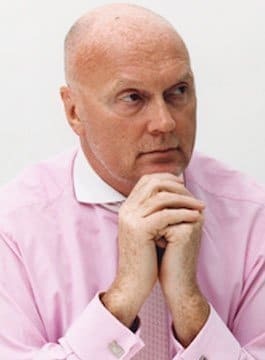 In November 2000 he left Asda and took on non-executive positions in a number of companies including lastminute.com, Dyson Ltd, Cannons Group plc, Bhs, BSkyB Group plc and Selfridges & Co. In 2002, Allan joined the Royal Mail as company Chairman. In this position he drove a period of modernisation which transformed Royal Mail from loss making into a profitable business. Allan stepped down from his role in March 2009 making him the Royal Mail’s longest serving chairman. Between 2008 and 2011 Allan was the President of Loblaw Companies Ltd – the largest food retailer in Canada, with over 1400 supermarkets and sales of more than C$30billion.